Can we feed a future population of 10 billion people a healthy diet within planetary boundaries? Co-chairs of the EAT-Lancet Commission, Prof. Johan Röckstrøm and Prof. Walter Willett take you through the groundbreaking report. 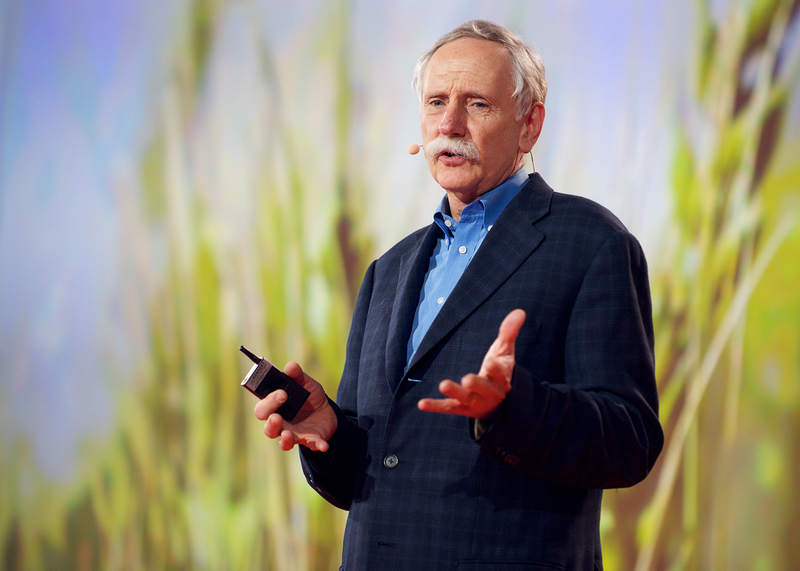 Answers to five questions about the planetary health diet and the Commission. Read article "Five Questions on EAT-Lancet"
The findings of the EAT-Lancet report explained. Read article "Can healthy food save the planet?" Read article "EAT-Lancet Commission Brief for Cities"
Read article "EAT-Lancet Commission Brief for Everyone"
Read article "EAT-Lancet Commission Brief for Farmers"
Read article "EAT-Lancet Commission Brief for Food Service Professionals"
Read article "EAT-Lancet Commission Brief for Healthcare Professionals"
Read article "EAT-Lancet Commission Brief for Policymakers"
The Summary Report of the EAT-Lancet Commission is available in Arabic, Chinese, English, French, Indonesian, Portuguese, Russian and Spanish. What is the EAT-Lancet Commission? The EAT-Lancet Commission consists of 37 world-leading scientists from 16 countries from various scientific disciplines. The goal of the Commission was to reach a scientific consensus by defining targets for healthy diets and sustainable food production. The findings of the Commission provide the first ever scientific targets for a healthy diet and sustainable food production within planetary boundaries that will allow us to feed up to 10 billion people by 2050. 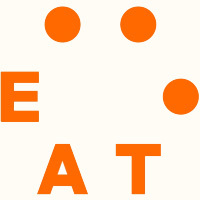 The Stockholm Resilience Centre housed the EAT-Lancet Commission’s secretariat and co-led the Commission’s research activities with EAT. Why is this report so important? Today, global food production is the single largest driver of environmental degradation, climate instability and the transgression of planetary boundaries. At the same time, global population health is increasingly pressured by several forms of malnutrition. Unhealthy diets are now the leading risk factor for global burdens of disease with growing rates of noncommunicable diseases such as diabetes, heart disease and cancers. Vast global undernutrition is adding mounting pressure to these challenges. Effectively, how we grow, process, transport, consume and waste food is hurting both people and the planet. If we want to live in a future where people’s health and the environment are not irreversibly damaged, the world needs to start living within scientific boundaries for health and the environment. Meeting the targets of the UN Sustainable Development Goals and the Paris Agreement requires an urgent and fundamental shift in the ways that we produce and consume food. While there is substantial scientific evidence that links diets with human health and environmental sustainability, the absence of globally agreed scientific targets for healthy diets and sustainable food production has hindered large-scale and coordinated efforts to transform the global food system thus far. It was this gap that the EAT-Lancet Commission sought to address. What sets this report apart from similar reports? The EAT-Lancet Commission’s report provides the first ever scientific targets for healthy diets and sustainable food production based on a broad specter of the latest scientific literature. It was published in The Lancet, a world-leading scientific medical journal, and combines research on health, nutrition, agriculture, environmental sciences and political sciences, and presents the correlating result. The results presented by the Commission have gone through a comprehensive peer-reviewing process, a process that can be lacking when institutions produce reports. Peer-reviewing involves a handful of anonymous scientists acting as reviewers who scrutinize the findings of the report. The Commission had to address the reviewers’ comments to ensure the report’s academic rigor before it became published as part of the public record and the global academic literature. The supplementary material presented in the Appendix of the Commission’s report contains additional results, data and a more detailed description of the methodology used. This can be downloaded from The Lancet‘s website along with the full publication. The Commission’s report lays the groundwork for flexible practices by proposing clear scientific targets within the safe operating space for healthy diets and sustainable food systems, including the lowest and highest possible levels. Instead of presenting strict guidelines with little room for amendment, the report’s findings allow for independent decisions and local adaptation. Finally, the Commission is also unique in embracing multiple environmental dimensions: climate, biodiversity loss, nitrogen and phosphorus loss to the environment, land system change and freshwater use. Many studies focus on a few rather than all six of these environmental limits. What is the “planetary health diet”? 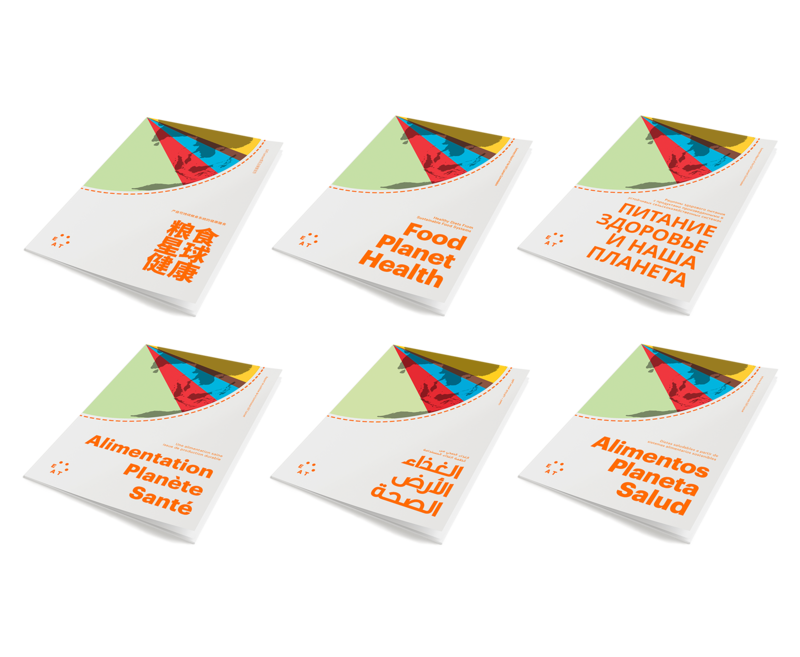 The planetary health diet is a global reference diet for adults that is symbolically represented by half a plate of fruits, vegetables and nuts. The other half consists of primarily whole grains, plant proteins (beans, lentils, pulses), unsaturated plant oils, modest amounts of meat and dairy, and some added sugars and starchy vegetables. The diet is quite flexible and allows for adaptation to dietary needs, personal preferences and cultural traditions. Vegetarian and vegan diets are two healthy options within the planet health diet but are personal choices. Why is this diet good for both my health and the environment? Today, food is a defining challenge of humanity by contributing to both poor health outcomes and severe environmental degradation. Increasing food demand and the adoption of unhealthy diets including persistent hunger, generalized overconsumption as well as overconsumption of unhealthy foods lead to incredible strains on public health and has severe consequences on natural resources and the environment. As it stands, the global food system cannot meet the nutritional demands of a growing world population projected to increase to 10 billion by 2050 without irreversibly damaging the planet. To change this, the planetary health diet sets out scientific targets for healthy diets that will optimize human health. Adopting the guidelines can result in a reduction in undernutrition, overnutrition and diet-related noncommunicable diseases, which are continuously on the rise globally. 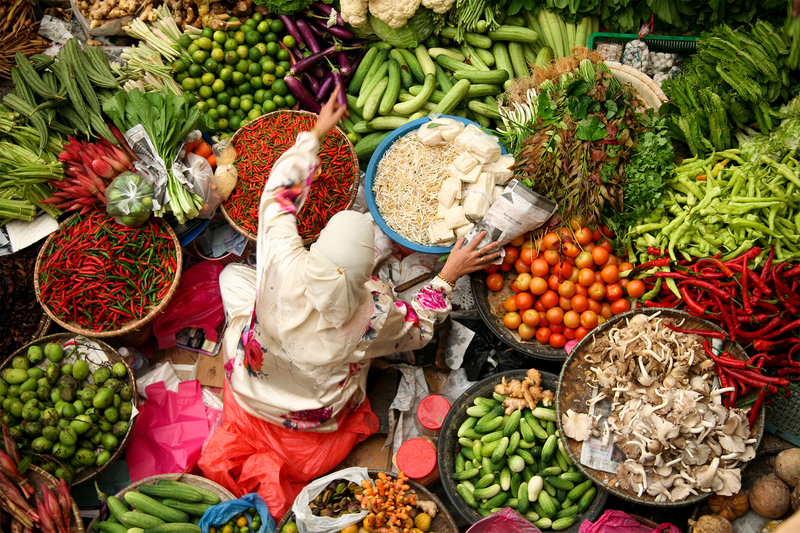 Global uptake of the planetary health diet, however, can reduce approximately 11 million premature adult deaths annually, effectively contributing to a 19-23% overall reduction in premature mortalities per year. In addition, the report also identifies environmental limits for sustainable food systems that define a safe operating space for food production within planetary boundaries. The targets emphasize those environmental processes most impacted by food including climate change, freshwater use, contamination of water by nitrogen and phosphorus, and the loss of biodiversity. It also recognizes the significant land that has been appropriated for food production and the contribution that natural ecosystems make to climate regulation, provisioning of freshwater and the conservation of biodiversity. How does a diet based on global assessments apply to me as an individual? And how strictly do I have to adhere to it? The planetary health diet is flexible by providing guidelines to ranges of different food groups that together constitute an optimal diet for human health and environmental sustainability. It emphasizes a plant-forward diet where whole grains, fruits, vegetables, nuts and legumes comprise a greater proportion of foods consumed. Meat and dairy constitute important parts of the diet but in significantly smaller proportions than whole grains, fruits, vegetables, nuts and legumes. In addition to the targets set within each section, the dietary targets also suggest that the average adult requires 2500 kcal per day. While this amount will vary based on age, gender, activity levels and health profiles, overconsumption is a waste of food with both health and environmental costs. The EAT-Lancet Commission’s scientific targets for healthy diets allow for individuals to prepare and consume meals in the total amount, composition and proportions that fit within the ranges of different food groups. The dietary pattern allows for flexible application of these criteria with room to tailor foods and amounts to the different preferences and contexts to reduce the risk of poor diets and environmental degradation. Why should I decrease my meat consumption? Current overconsumption of meat in Western diets is a significant contributor to poor health and increases a person’s risk of becoming overweight, obese or developing certain noncommunicable diseases. Projections show that a global adoption of a Western diet high in meat intake matched with global population and economic growth will drive significant health burdens and push food systems well beyond environmental limits – multiple studies make the same predictions. Allocating increasingly scarce, high value agricultural lands or converting high carbon or high biodiversity ecosystems to agricultural land to produce foods is problematic – this guarantees the continued degradation of public health and a collective failure to meet both the UN Sustainable Development Goals and the Paris Agreement. This will also contribute to the growing social and economic costs of poor public health, climate disaster relief and environmental degradation. Avoiding these risks calls for a significant reduction of unhealthy food consumption – particularly poorly produced meat – in high- income countries, in addition to avoiding increasing consumption trends in middle-income countries. At the same time, it is critical that the food system ensures sufficient access to healthy levels of protein that are sustainably produced where hunger and malnutrition persist. Although this is a generalization supported by global trends, the EAT-Lancet Commission urges individuals, companies and government officials to use the scientific targets provided by this report to develop context-specific plans of action to ensure a healthy and sustainable future for all. What does the report mean for the agriculture industry and their employees? Has the Commission considered the economic and social costs linked with the recommendations? The EAT-Lancet Commission has not calculated the economic or social costs of the recommendations. It does flag that there are significant economic and social values to the recommendations, including in reducing national and individual healthcare expenditures, improving quality of life, and collective contributions to environmental security with significant implications on disaster spending. Food will continue to be one of the most important industries and global employers with significant innovations and improvements in food production, processing, transportation and preparation are needed to meet global food and environmental security targets. While we anticipate that demand for some crops will decrease locally and regionally, these decreases will need to be replaced by increased production of other crops and food items. For example, the Commission notes that the production of fruits, vegetables, nuts and legumes will need to more than double to meet global needs by 2050. Actions that help ensure dignified employment in the food sector from production, preparation to reutilization are important solutions. Policies that support transitioning rural economies toward the production of healthy foods with environmental benefits will be critically important. Wouldn’t it be more effective to focus on ways to reduce fossil fuel emissions instead of food? The EAT-Lancet Commission agrees that the number one priority for combating climate change is the transition to a carbon free economy by 2050. However, achieving the Paris Agreement requires halting conversion of high carbon ecosystems to carbon, and food production must also increase to meet the needs of 10 billion people by 2050 with agriculture’s current greenhouse gas emission budget of 5 GT CO2-e. This is not an insignificant challenge and calls into question increasing meat and feed production – notably beyond dietary needs – in the face of acute underproduction of fruits, vegetables, nuts and legumes required in healthy diets. However, the Commission does flag that even with the assumption that the world fully decarbonizes by 2050, reaching the Paris Agreement requires three important contributions from agriculture: 1) halting land expansion into carbon rich ecosystems; 2) reducing methane and nitrogen dioxide emissions from agriculture, notably rice production and enteric fermentation from livestock; and 3) increased carbon storage in agricultural lands through improved cropland, pasture and rangeland management practices. Food is by no means the only means to achieve global climate targets, but it is an important contributor nevertheless. Hence, the focus needs to be on both the reduction of fossil fuel emissions and the changing of diets. The Commission states very clearly that global decarbonization is necessary, emissions must be halved by 2030 and net zero carbon emissions should be achieved by 2050. However, even if all these goals are achieved but dietary patterns see no shifts, the world will fail to meet the Paris Agreement. While CO2 and decarbonization are absolutely critical, food does matter. The EAT-Lancet clearly demonstrates that success on both fronts are required. Read article "The EAT-Lancet Commission Launch in Oslo "
Read article "The EAT-Lancet Commission Launch in Melbourne"
Read article "The EAT-Lancet Commission Launch in New York"
Co-chaired by Prof. Walter Willett and Prof. Johan Rockström, the EAT-Lancet Commission brings together world-leading researchers in nutrition, health, sustainability and policy from across the world. 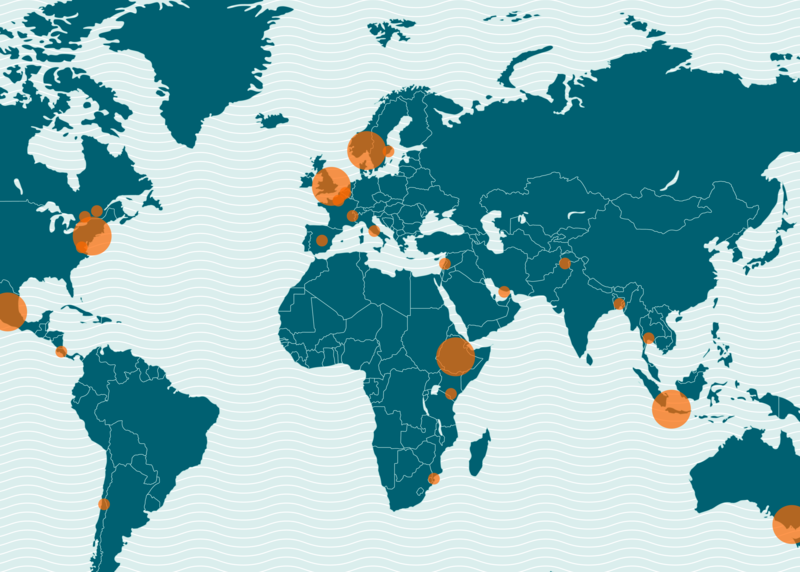 Together with our partners, EAT will curate a series of launch events across at least 35 sites around the globe. Stay tuned for more information.